The Dangers of Undiagnosed Roof Wind Damage | El Paso Roofing Co. When it comes to wind, our Sun City gives the Windy City a run for its money. Our city is plagued by high winds, mostly in the Spring, but they have been known to hit hard in the Fall as well. We as residents have gotten used to dealing with the wind, although knowing when they are going to hit makes it tricky to know when to wash our cars. We are so used to it, in fact, that besides a few patio items tossed around, we really don’t often consider the damage high winds cause. However, roof wind damage can be a serious problem which can cause many problems over time if not detected. El Paso Roofing is well versed in evaluating roofs and fixing any problems our pesky winds can cause. As El Paso residents, we are all well versed in the unpleasant sensation of sand blasting in our faces, our legs, and pretty much any exposed skin during a windy day in the Sun City. As used to the wind as we are, it’s easy to forget that while we find relief indoors, our roofs aren’t so lucky. What are some common problems that high winds can cause? Missing shingles: while it sounds like we’d spot this, it isn’t that easy. Missing shingles can be hidden in areas that are hard to spot unless you actually get on your roof- and how many of us do that on a daily basis? Lifted or lifting shingles: when your shingles are lifted even the slightest, it can cause so many problems. You wouldn’t think that a little misalignment would be a problem, but trust the experts- it can. Curling Shingles: this pretty much is on par with our aforementioned shingle issues. Any roof wind damage to your shingles will cost you if not spotted and dealt with in a timely manner. Gutters: while not many homes in the Sun City bother with gutters, those that do need to watch out for problems. Remember, gutters are attached to your roof, so any pulling, rusting, excess weight, etc., can put strain on attachment points and leave cracks that are an invitation for problems. Roof Leaks: the most obvious problems on our list, it’s one of the easiest to detect…if El Paso received more rain. Roof leaks can be problems even in dry weather, so it’s important to deal with them as soon as you know you have one. What Problems Can Roof Wind Damage Lead To? So we are missing a shingle- what is the worse that can happen, you think to yourself. Unfortunately, a lot. Roofs are more than tar and shingles. Roofs protect that space between the literal top of your home and your ceiling. This is usually filled with insulation. Now consider this: your gutter has taken on excess weight from undetected issues from a recent wind storm. It creates a gap between your roof and the outside world. Now imagine a rainstorm hits a couple of weeks later. Stuff starts getting wet that shouldn’t, the heat comes back- it’s the perfect recipe for mold. Any crack or weakness in your roof invites mold, rodents, rot, and other problems to infiltrate your roof, gradually spreading to the rest of your roof. It can actually affect the structural integrity of your home- do you want to risk that? 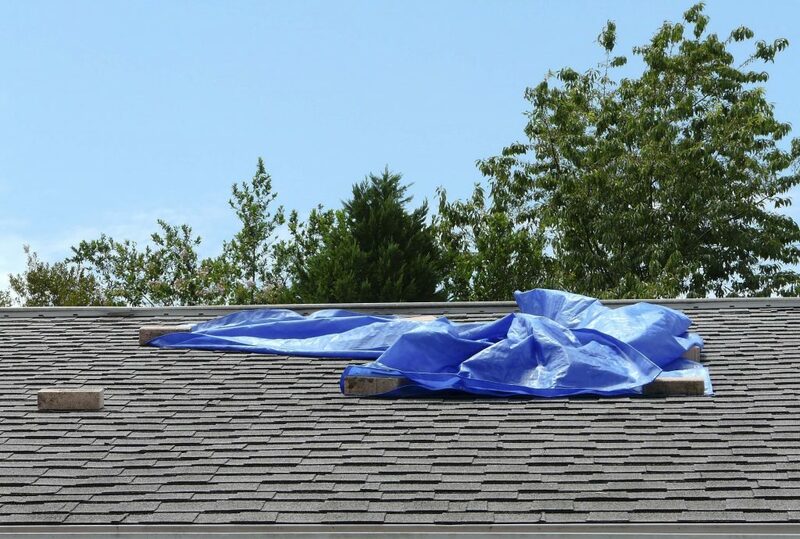 All of these common roof wind damage problems eventually lead to the same unfortunate conclusion: replacing your roof. Replacing your roof sounds like a pretty pricey consequence that can be avoided easily. Our roofing experts can evaluate your roof and spot any type of roof wind damage, or any other types of damage that can compromise it. Remember, any type of damage can cause long term damage, so it’s important to have at least two yearly maintenance roof checks to avoid pricey consequences. Take initiative and call our experts for help today!